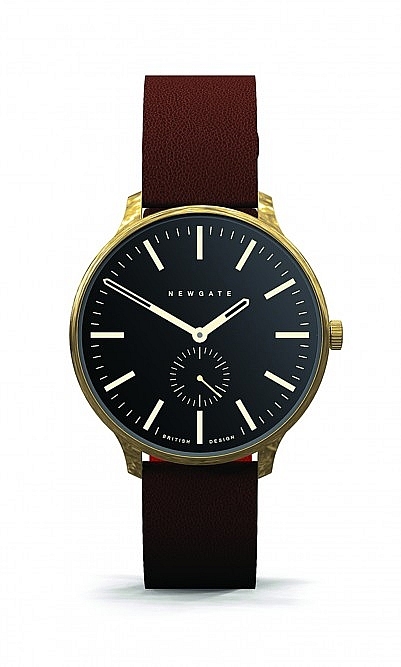 Tactile rounded gold case watch with contemporary black face and marker dial. Finished with a rich brown nubuck strap. Water-resistant to 30m. Dia4cm. Guarantee 1 year.